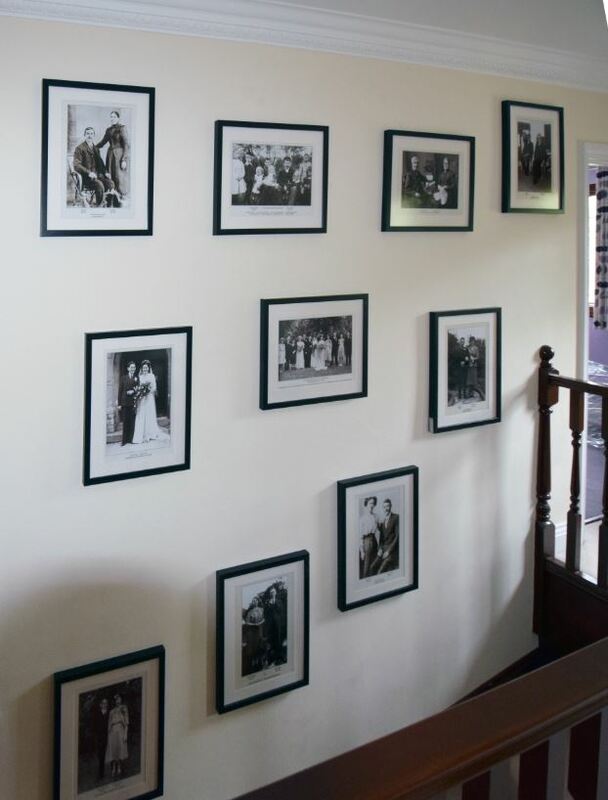 Many of my customers have told me how they’d had difficulty confronting the task of sorting out their photographs which have piled up over the years, so I hope you find this helpful. I’ve found that once I actually start a job that has been difficult to face, it’s always much easier and quicker that I thought it would be and invariably I actually enjoy the process, getting a good sense of satisfaction when it’s all done. For example if you like the idea of having modern photo-books that will last forever with no deterioration, no loose photographs falling out and also a book of the family photographs that your relatives can easily have their own copy of then read on…..
It’s easiest to break the project into smaller manageable stages…. If there are various family members interested in your project, it is often the case that the overall cost can be shared so each person gets a finished photo-book and the cost of production of the book split several ways. I hope this is helpful – don’t hesitate to get in touch to discuss any aspect further or if you need any further information – I can help you at every stage. I can also assure you that the final photo-book will be something that you’ll truly treasure and you’ll be so glad you went to the effort to get it made. If you’re still thinking about getting those special photographs of yours restored, see what recent customers have said about the results I produced for them. So do make the time to dig out those important photographs etc and get in touch with me so I can restore them to their former glory or, in many cases, give you results better than the original ever was! January – The Ideal Time For a Photograph Rummage! Do you have loads of your precious photographs safely tucked away somewhere? With the promise of snow and cold January days and nights what better time is there for you to locate and rummage through your old family photographs? Although we all have photographs we feel are really precious, how often do we actually look at them? I know from personal experience that once you sit down and start looking through your photographs it’s a really enjoyable experience! Maybe you’ll find that some of them are very small that you may like enlarged or framed so you can keep them on view to be continually enjoyed. 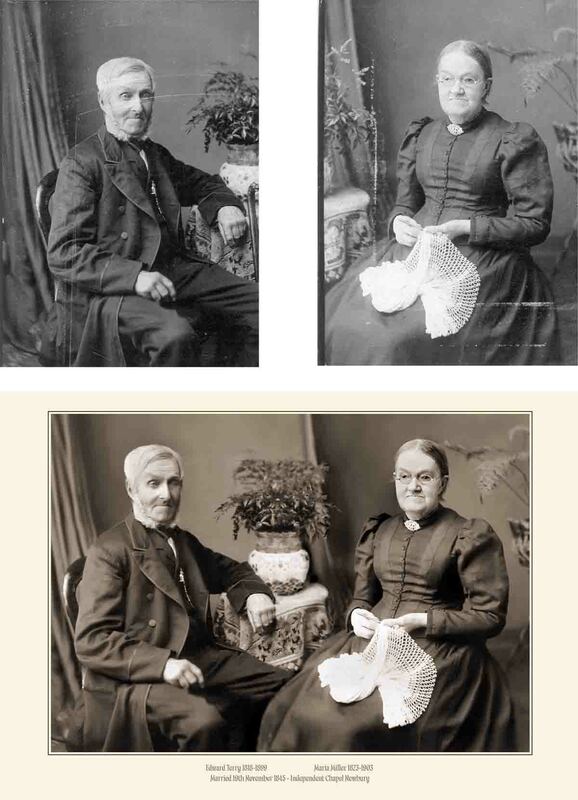 Others may be looking faded or tatty and would benefit from being digitally restored. If you find you have a quantity of photographs that you would like to create into a Photobook the cost for a high quality scan and basic image optimisation is as little as £2.50 per picture. This means you’ll be able print copies and enlargements as well as email your photos to others. So make an appointment with yourself for this weekend and check those photographs out. You’ll be glad you did! For Christmas we gave our children their own 100 page Photobook of themselves growing up. They were all absolutely thrilled to bits with them.. 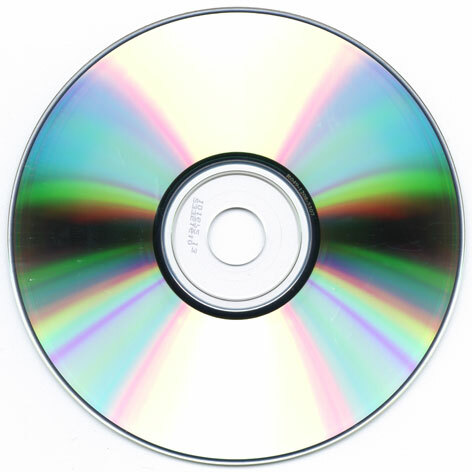 Most importantly your photographs, once scanned, can be stored safely on a CD with no fear of them fading or deteriorating ever again. Below is a photograph in a newspaper where my customer’s son was cycling with Bradley Wiggins. Newspaper articles are usually relatively poor print quality with the ‘dots’ being very visible when enlarged. 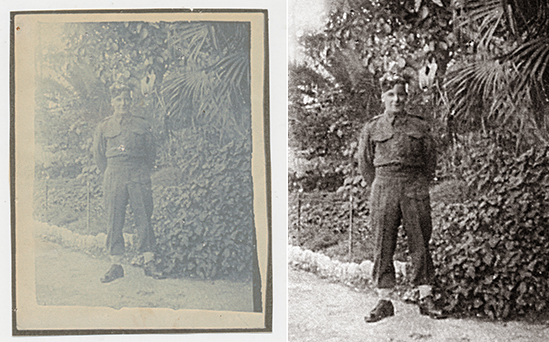 This restored photograph was printed 15″ x 10″ and looked really impressive. The photograph below was an interesting challenge. The original photograph had been badly damaged by water. Not only that but the original frame glass was also smashed and the photograph was stuck to the broken glass! 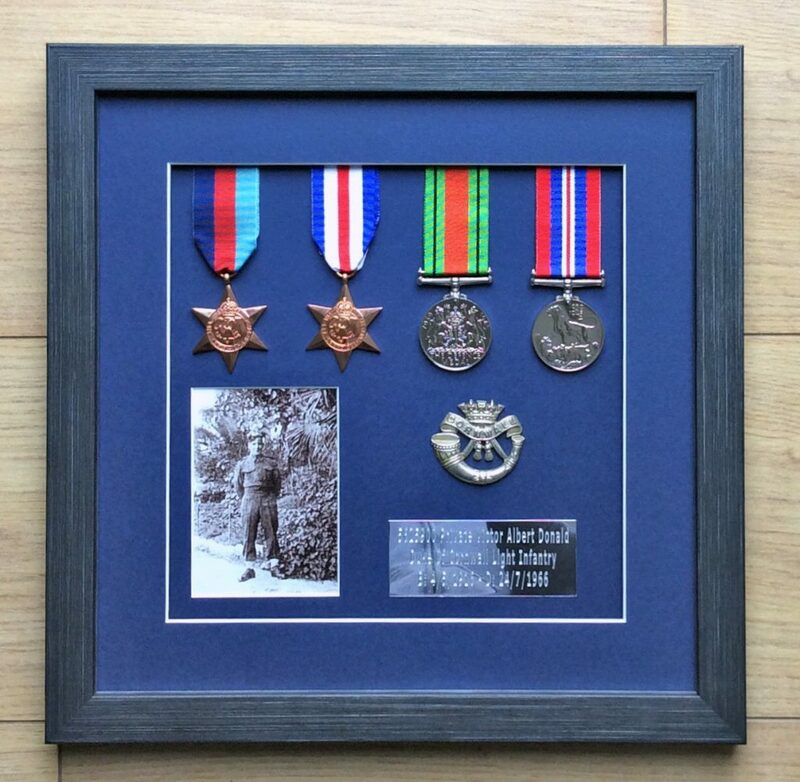 As the photograph had great sentimental value, the customer had framed the stained original complete with the broken glass in a new glazed frame! It was not possible to scan so I photographed it and restored from that image. Mounted in a new frame with mount finished the transformation. So if you need any help or advice in relation to storing, cataloging, scanning or restoring your photographs, don’t hesitate to Richard a call on 01825 740986 any time, I’ll always be happy to help. 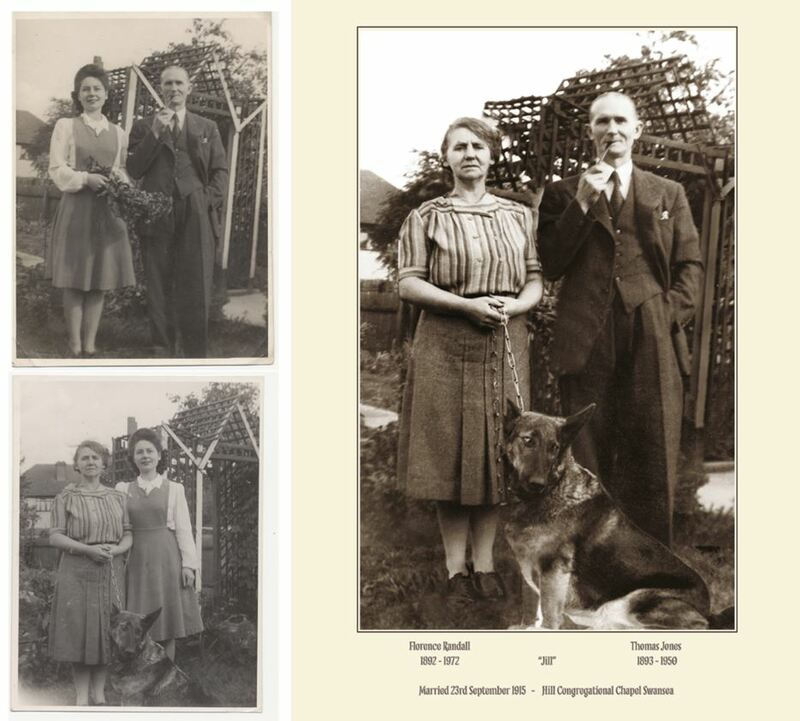 Photographs Forever was given the opportunity to add a blog entry on the Ancestry.co.uk website. We also wrote an blog article for Your Family Tree Magazine which has some important points on the Benefits of Restoring Your Photographs.